Drag the points A and B to resize right triangle ACB. 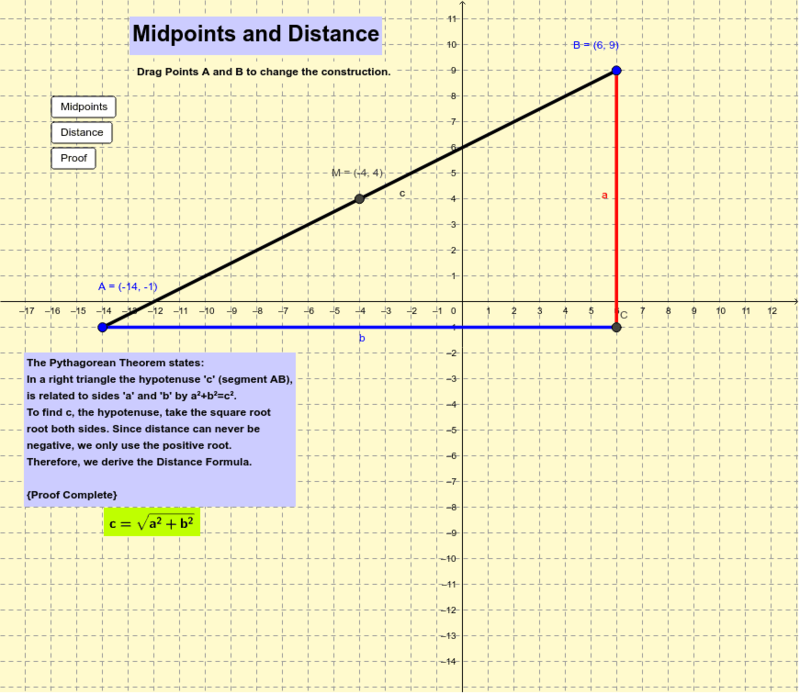 Select the button to learn how to calculate the Midpoint or the length of the hypotenuse (Distance). The Midpoint formula and Distance formula are some of the most common formulas use in mathematics. (Y2 -Y1)/ (X2-X1) use the same information (Y length and X length) and make a fraction rise/run for slope. If you square, add, and square root, that is distance.